It was good to see my last post on this topic receive attention on social media, it was shared widely and garnered some useful comments – this follows on from that and is best understood having read it beforehand. Shortly after publishing that post I saw Kirkpatrick Sale’s line about the ‘necessity for scores of bioregional Johnny Appleseeds’ and was heartened that perhaps we were seeing that flowering now, both with the Bioregional Learning Centre‘s Community of Practice and with a wider cohort of wild re-seeders – we still need more Joni Appleseeds too though. Nick: If the bioregion is to become meaningful as an organising category then perhaps there needs to be some thought as to the functions that it needs to facilitate. Perhaps that would include non-motorised transport, goods and food distribution. The Severn river basin where I live is too large for some of these functions so a more meaningful designation is the Severn Vale ‘management catchment’ or even the Frome and Cam ‘Operational catchment’ areas according to the gov environment data. James: Good thinking. I think the bioregion considered at ‘morphoregion’ scale may be a pointer here (See Kirkpatrick Sale’s Dwellers in the Land for where the concept is introduced. 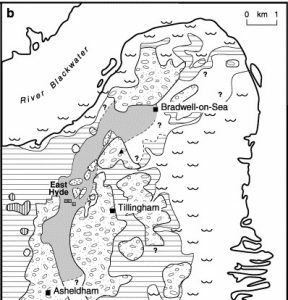 I mention it here: and point towards Mark Burton’s work on Manchester/Mersey bioregion here. These won’t necessarily provide answers but might begin to shape the edges of the question space! Nick: Thanks for the links James. Interestingly, my local operational catchment area (morphoregion perhaps) seems very closely aligned with our district government boundaries. Perhaps a historical connection to the concept. Les: The Hackney Brook defines our local ‘micro-region’, it used to flow through Clissold Park (north), the boundary wall of Abney Park Cemetery, across Stamford Hill at the Cemetery main entrance, meandered through to Rendlesham Road and under the railway embankment west of Hackney Downs. Through Pembury Circus, Amhurst Road, adjacent to St Bartholomew’s Church, down to Well Street and along Wick Road and into the River Lea. In these fragmentary bits of discussions I see connections between the places described and patches described by others – a map of the Archipelago, in which Nick’s catchment area can be seen between Anthony Melville’s Upper Thames watershed, and the area that Thom Forrester’s Forest of Dean Wum Land Party claims for ‘independence betwix Severn and Wye’ – all them in relation to the Independent Mercia championed by Jeff Kent and others as ‘an autonomous and sustainable bioregion with a confederation of English regions’ (encompassing Bioregion Birmingham? ), the areas of the Wessex Regionalists, Mebyon Kernow and the independence movements of Wales and Scotland, a Manchester-Mersey Bioregion, or to Dartia (pdf) – the Dart Valley Bioregion, Ed Tyler’s Kintyre, Paul Channey’s Lizard Exit Plan, or the Dengie. Tim Robinson’s Connemara or the West Meath bioenergy region. I see Les’s Hackney Brook micro-region flow into the Lea Valley Bioregion outlined by OrganicLea. The seeds of a patchwork have already been spread, with some areas proving more fertile to growth than others – how I wonder might we accelerate succession, respond and adapt to the particularities of different niches, use successful projects as nurseries to advance progress elsewhere? I am wondering about the utility of these words: Morphoregions and microregions, to describe distinct areas. These beginnings of a (or rather the extension of Sale’s) bioregional typology are certainly useful for granular specificity, but the language is a bit ungainly – perhaps it’s just due to unfamiliarity, but it doesn’t aid communication outside the circle of those already interested. It’s no wonder that the familiar forms of governance areas have a gravity to them however ecologically incoherent they may be, aided as they are both by the force of well-acquainted language and of history. Also as Nick notes, many existing government boundaries match biogeographical edges, they are ecologically coherent – and a bioregional consideration of the structures of England’s shires, hundreds, manors/tythings/parishes would itself be illuminating. The on-going value of these traditional divisions were discussed by Joshua Toulmin Smith, one of the leaders of the mid-19th century radical Local Self-Government movement in the United Kingdom (and founding member of the Anti-Centralisation Union), who looked back to the Anglo-Saxons to find appropriate forms of self-government. While any biogeographical determinism for the boundaries of the Anglo-Saxon heptarchy remains to be evidenced (but a basic comparison with major river basins is useful), the rising interest in the philosophies of local government and devolution in the 20th Century certainly did encourage consideration of the role natural features might play. Wells goes on to be dismissive of ‘local government areas’ which ‘represent for the most part what were once distinct, distinctly organized, and individualized communities, complete minor economic systems’ preserving ‘a tradition of what was once administrative convenience and economy’ adding that ‘To-day, I submit, they do not represent communities at all, and they become more wasteful and more inconvenient with every fresh change in economic necessity.’ Here I begin to differ from Wells, who wrote in an era of rapid globalisation and empire, in our era of energy descent ‘complete minor economic systems’ seem more appealing. The skill is to learn from the past but not necessarily to repeat it, a spiral dynamic perhaps. I think this represents something of the creative re-interpretation we might do of past forms in order to meet present and future needs. This post feels a bit of a mess, I’m exploring these ideas in public and they could do with more work to make them more coherent – but I think it’s good to get them out there, see what others think, what others can add (or take away).